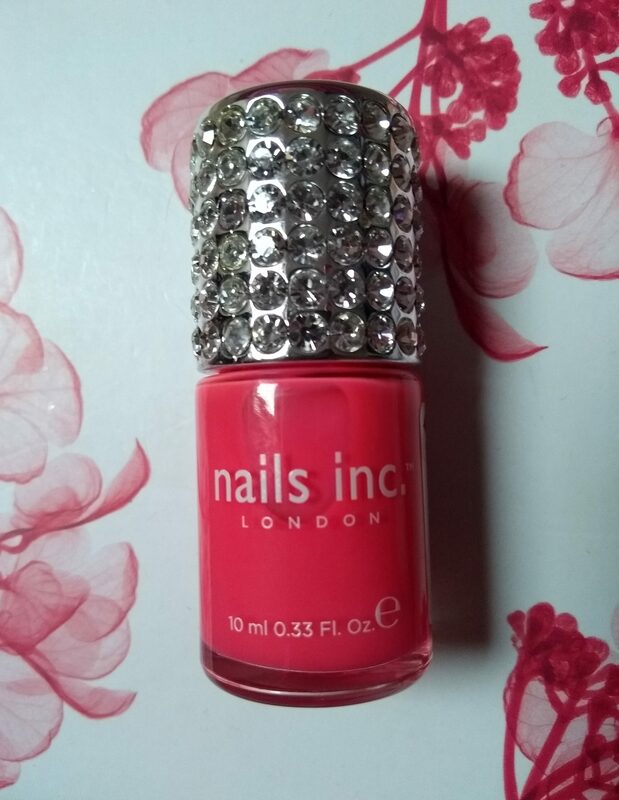 I found this nail polish online and thought it was pretty in it’s packaging and so thought I should definitely get one especially since I have not tried a Nails inc. nail polish before. The nail polish comes in a clear box with a black design and a bow. The bottle is a round clear bottle with the brand printed on. The lid is silver with crystals all round it. The polish is a cream bright pink. This nail polish had a thin brush and the formula was a touch watery. I added a bit extra on the brush, not too much just enough to make the first stroke a bit wider. The nail seemed opaque but it was actually quite see through as lately I have had white spots on my nails and they were showing through. Waiting time was bout average and then I applied the second coat of nail polish and it still hadn’t covered the white spots. 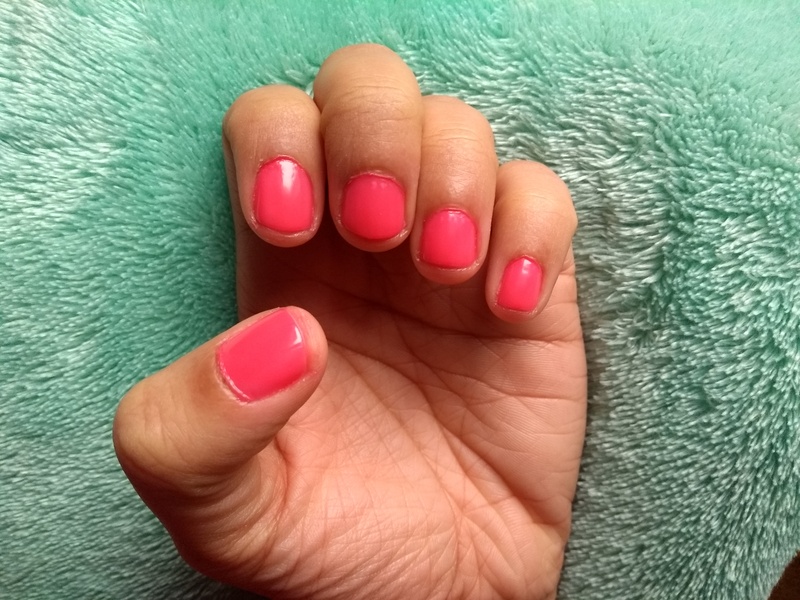 Considering how watery it was it wouldn’t cover the white spots and since the nail polish looked plastic-y when dry It just didn’t look right. This nail polish was nicely presented in the box and the colour was very pretty but given the price of this nail polish it just doesn’t seem worth the money as its watery, not opaque and has a slightly plastic finish which seems unexpected given the presentation. 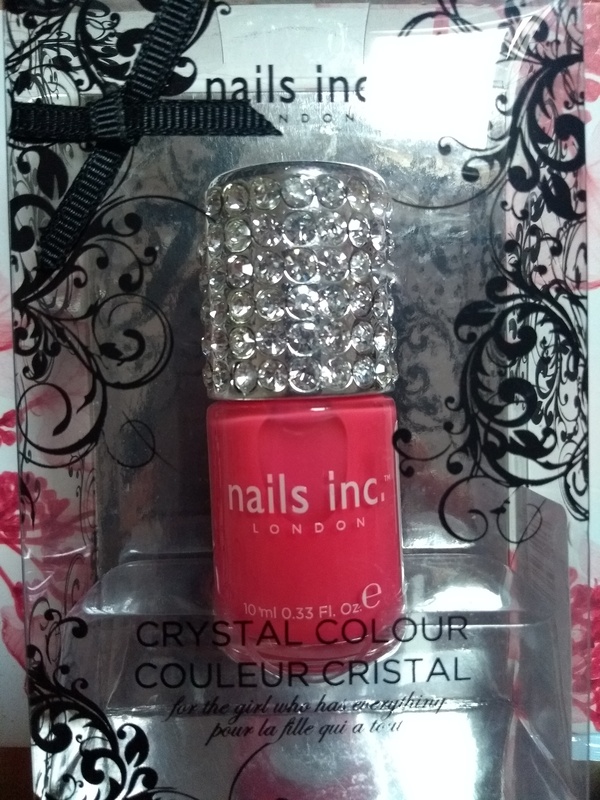 I give this nail polish a 5/10 This is for the pretty box, the crystal lid and the pretty colour but otherwise as a pretty gift or just to own one of these crystal lid nail polishes itself meaning this particular colour (no idea bout the others they have they could be better) doesn’t seem like one you should pay full retail price for.